I find myself honored to be the person chosen for such appreciation, and to tell you the truth, I believe I don’t deserve such honor, I see the award as an award for Bassel Shehada, for Mazhar Tayyara, for Ghiath Matar, for Bassel Al-Sayed and for all the citizen journalists who died trying to tell the world what’s happening in Syria, when the traditional media have failed to do so. The traditional media that focuses on people’s misery not on their undefeated will to resist. 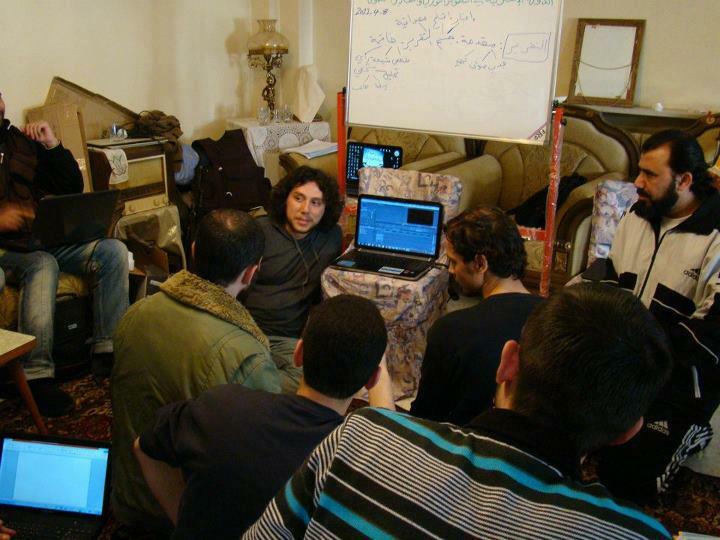 Syrian citizen journalists and filmmakers tell the revolution in all its colors, through the good times and the bad times. And many have died doing so. 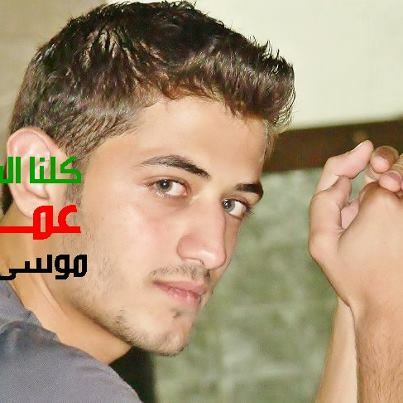 Martyr Ammar Moussa Hassan, he’s friends with two of my friends. I never met or heard of him before. Ammar Mousa Hassan, college student, from Nabek (Damascus Suburbs) and was residing in Damascus, was detained for 15 days. Tortured to death. I have not put myself at serious risk, I wasn’t tortured to death like activist Ammar Mousa Hassan or photojournalist Ferzat Jarbran, I wasn’t hit by a sniper on my way to field hospital to donate blood like citizen Abdalla Hussein Hoswah, I am here in my home behind my screen writing these words to you. This award is for the beautiful people of Syria, for the unprivileged revolutionary, for the unknown activist, for the thousands of families of martyrs, injured and detainees, and for Mazen Darwich, Hussein Ghrer, Abdel Rahman Hmada, Hani Zetani and Mansour Al-Omari, my colleagues at the Syrian Center for Media and Freedom of Expression, who are still detained at Air Force Intelligence and The Fourth Band since 16-2-2012. I wish I was with you all to share this moment of appreciation to the brave people of Syria, who are going through a lot, for demanding dignity and freedom. I have learned so much and still learning, on how to be a better person, a better advocate for basic human rights, because of them. Thank you Front Line Defenders for awarding Syria this year.